SSI Schaefer, a leading UK and world provider of automated materials handling and integrated storage solutions, returns to Southern Manufacturing for 2019, offering visitors advice and guidance on a range of solutions to boost productivity and reduce costs. 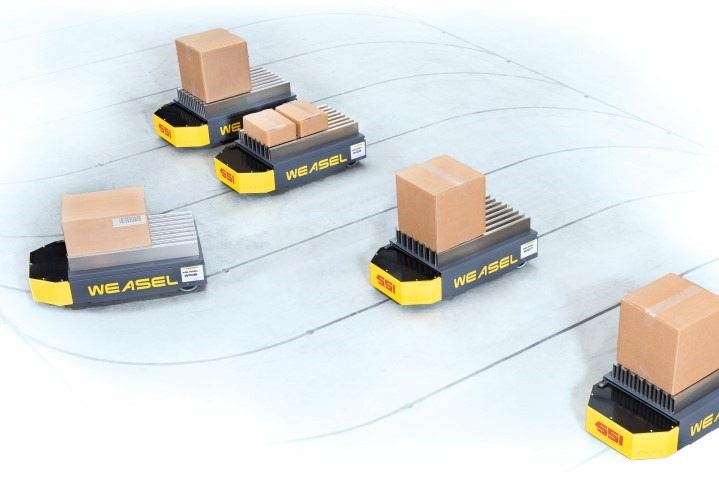 At this year’s event, the focus will be on the LogiMat® vertical lift machine and Weasel® AGV alongside a comprehensive range of plastic totes. Other technologies on show include Schaefer’s WAMAS® Lighthouse Logistics cockpit, which combines classic visualization capabilities with a display of logistics performance indicators. Users can view and analyse the heartbeat of their systems, enabling them to make effective decisions. With more than 50 subsidiaries worldwide, SSI Schaefer is a strong and reliable partner. Products range from plastic totes, through shelving, flow-racking, AGVs, vertical storage machines and mezzanine floors to high bay pallet warehouses and related IT control and management systems. The organisation offers expertise in the design, build, installation and maintenance of major, and often bespoke, production and distribution centre operations across a broad spectrum of commercial and industrial sectors.